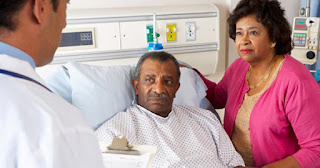 The research that was published on April 30 in the journal JACC: Heart Failure discovered that from 2010 to 2014, only 20 percent of the 105,000 heart failure patients admitted to intensive care units at 497 hospitals in the United States were Black and the rest were White. All in all, White patients are 40 percent more likely than Black patients to receive primary care from a cardiologist, the data shows. Black men were 50 percent less likely than White men to see a cardiologist while Black women were 30 percent less likely than White women. Dr. Khadijah Breathett, an assistant professor of medicine in the cardiology division at the University of Arizona's College of Medicine in Tucson, authored the study. She said that it is important for both patients and physicians to know that there are racial disparities in health care. "Patients must be their own advocates and not fear getting a second opinion, especially when they believe they are not being heard," she said. "Physicians should adhere to guideline recommendations, advocate for underserved populations and be aware of implicit biases that may adversely affect clinical management." "Bias in clinical decision-making has contributed to disparate treatment in racial and ethnic minorities. We must consider that it may be present," Breathett continued. Dr. Christopher O'Connor, the chief executive officer of Inova Heart and Vascular Institute and the journal editor-in-chief, said that the study "highlights the need for more research on why we continue to observe racial differences with the receipt of optimal care in the U.S. health care system."